Product prices and availability are accurate as of 2019-03-26 05:10:30 EDT and are subject to change. Any price and availability information displayed on http://www.amazon.com/ at the time of purchase will apply to the purchase of this product. These beautiful ocean themed fountains are from Gifts FIRST Inc and measure 12" tall! Set it on your desk or table and let the soothing water wash away the days stress. 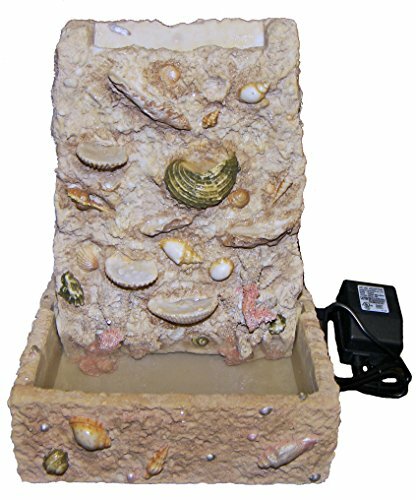 This 3-piece fountains go together in seconds, just fill, plug and go! 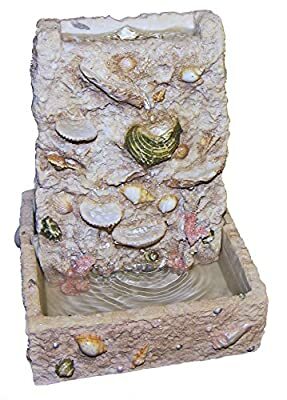 2-Piece fountain Measures 12" tall Fits together in seconds, just fill, plug and go! Strong Fountain Pump with 24V Wall power adapter.